Tucked behind the gates of this exclusive enclave, you'll find a private "conservation community" featuring 107 single-family homes, multiple community open space areas, a central lake, and perimeter buffers with walking paths. The well-appointed community entry was thoughtfully designed to create the truest sense of "arrival" and to ensure a luxurious sense of privacy. 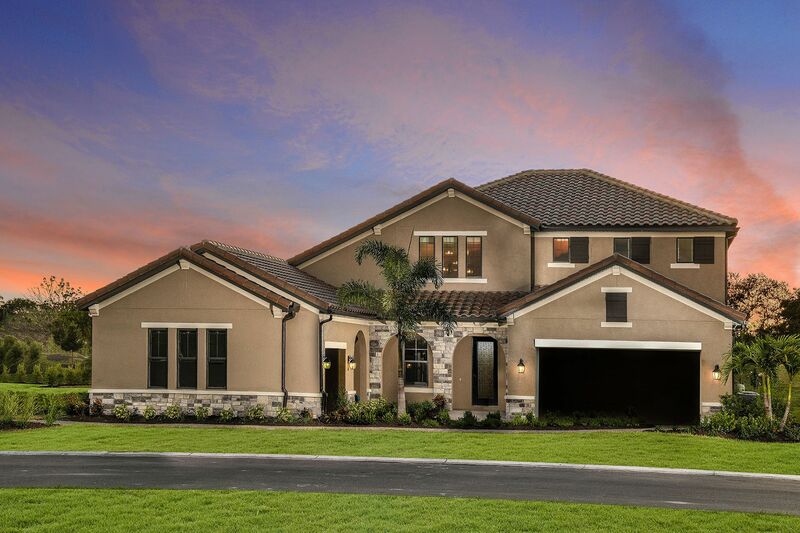 The community features our Showcase series of homes, all of which offer high quality finishes and features as well as Tuscan-inspired elevations and floor plans. You'll love the fact Rivo Lakes is just 15 minutes from Siesta Key Beach - one of the most beautiful in the world, Myakka State Park, downtown Sarasota, St. Armand's Circle. It's also within walking distance of Twin Lakes Park, and part of the highly desirable Sarasota County School District, rated one of the top ten in the state of Florida. This is the perfect community for families, active adults, and anyone who wants to live well.